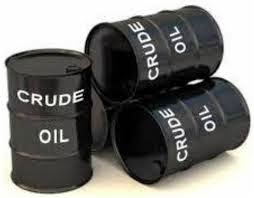 In rupee terms also, the price of Indian Basket declined to Rs 6284.06 per bbl on 01.04.2014 as compared to Rs 6318.91 per bbl on 31.03.2014. This was due to decline in price in dollar terms. Rupee-dollar exchange rate remained unchanged at Rs 60.10 per US$ on 01.04.2014 as against Rs 60.10 per US$ on 01.04.2014 as it prevailed on previous trading of 31.03.2014.